Based on novel "Yumechigae" by RIku Onda (published November 11, 2011 by Kadokawa Shoten Publishing Co.). Someone Jan 06 2013 3:17 am I just finished the last episode! -SPOILERS- Does that mean Shiki is Yuiko's dad? Since she had that dream about meeting her dad but didn't see the face, and Shiki pops up in real life. ruby Jan 04 2013 10:17 pm i really wonder if they actually saw shiki takashi at the very end of the last episode! but it was definitely shiki that i saw because they said that they didn't find any body so that must be shiki. i wish they make a second season. Dragonfish Dec 28 2012 9:11 pm That was the best show I've seen in a long time!!! I just finished the 11th episode. I hope you make many more episodes!! Just so creative I loved it soooo much!! rain Dec 27 2012 3:36 am ohhh love this dorama. at first i only care about gackt but its really good. cant wait for another season. ruby Dec 24 2012 3:01 am episode 9 and 10 were really sad episodes! i cried during episode 10! ThePhillyFlash Dec 19 2012 3:58 am Wow! What a strange show this is! But it's pretty darn intriguing too! Color me sold! I can't wait to watch more! 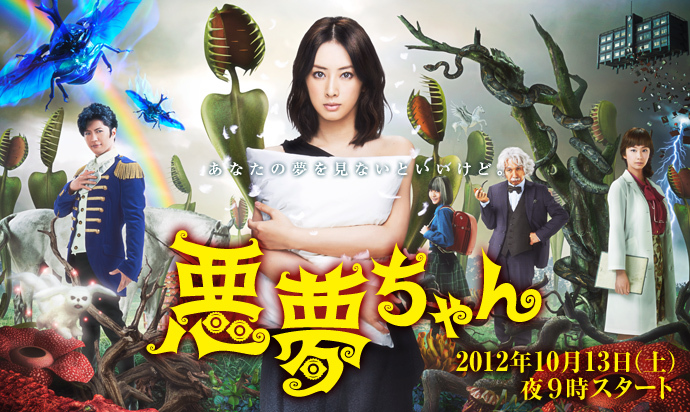 Akari~chan Dec 14 2012 7:48 pm this drama is SOOOOOO AMAZIN im watchin this drama on crunchyroll.com. i loooove it soooo much :) btw if anyone can tell me how many episodes its gona be in total plzzzzzzzzzzzz? Min.Sung Aug 19 2012 1:53 pm Keiko coming back yay! !